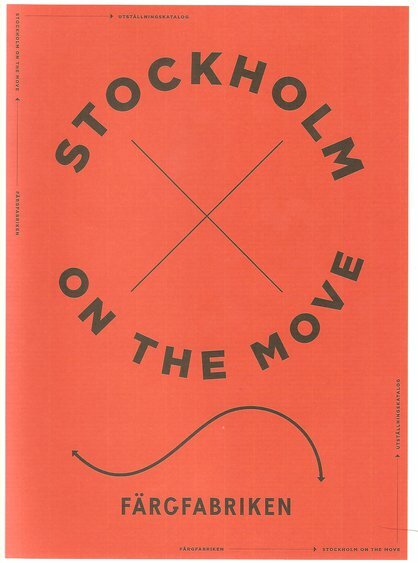 a project about the future of the Stockholm region and the role of infrastructure for its development. Mobility infrastructures have been historically overlapped on urban unitary systems based on rationalization and hierarchies, conceptually consistent and in harmony with the regional context and its landscape. They also have been established on undeveloped territories later occupied or absorbed by urban growth. Infrastructures impose their own logics: that means specific developments which, in many cases, come into conflict with theestablished order. Pre-established hierarchies change to priorize the outside-inside connectivity to the detriment of the inner urban fabric continuity. Those processes lead to large areas of specialization that, in most cases, become excessive or obsolete within the developed urban context after a long period. From the Industrial Revolution and subsequent changes on communication systems, the mid-nineteenth century city implements railway structures based on its condition of compact city. They are brought as close as possible to the centre. During the 20th century, with the road transport hatching, the idea of serving a preexisting centre remains. The implementation of road superstructures ignores the continuous development of the city and, as a result, the new urban growths become discontinuous urban pieces. A general consideration about the continuity of the main supra-urban mobility systems over the urban territory will take us to raise the status and position of the major interchange hubs of the future city. As a result, we will be able to act on areas resulting from the dislocation or transformation of large obsolete parts. Stockholm has a special and very specific setting: its archipelago condition and the overlapping of the industrial and contemporary city have resulted in an urban morphology characterized by converging infrastructure flows that generate high intensive urban nodes. In some cases these nodes have become new city blind doors, and only for large infrastructure. We believe it is a recognizable situation that is repeated in several parts of the city. Gullmarsplan is certainly one of these blind doors, an interchange between the centre and the region, a step before the infrastructures cross onto Södermalm. That door status and its bad approach within the existing urban context, derives in a strong distortion in adjacent tissues. On the other hand, Skansbron is a good example of how infrastructures can generate high quality spaces, with great potential for transformation. This place shows the special configuration of Stockholm to which we referred. Topography, water, infrastructure and green set on a disposition that expands on the vertical, and transgresses the most usual bidirectional relation between the user and its environment. Certainly in Stockholm it urges to address the conflict that overlapping large Infrastructures have infringed on the quality and development of the city on its small scale, the one that refers to proximity. Infrastructures act as boundaries and, at the same time, as barriers preventing the natural interaction between the context and the realities they cut through. To recover and to enhance these interactions is one of the biggest challenges of Stockholm. The city is a complex entity, a result of a great number of needs, concerns, knowledge and sensitivities....it needs of multidirectional interpretations and of a proper balance between them. There is no prescribed scale to define dormant assets, which transcend physical reality and are also located in the area of ​​social interactions. We believe in the comprehensive analysis of the specific conditions, pre-existences, conflict, activity flows. The complex city does not need imposed solutions, but articulating ones, and must be developed in conjunction with the city over time. The points where infrastructures converge must also convert on high urban dynamism. It is also needed to reduce drastically the long distance routes within the city by strengthening its parts, the neighbourhoods, turning them on dynamic elements, not subsidiaries of them. Infrastructures must serve the urban cohesion, not to break it. This exhibition is a good opportunity to ask the visitors, users and inhabitants of Stockholm, which are their own dormant assets.